Being able to quickly assemble your DJ setup is important in any situation, but at mobile DJ gigs, it can be a job saver. If it starts to rain at an outdoor fundraiser, can you move your entire setup inside in 20 minutes? If you’ve got two locations at a wedding gig, can you from ceremony to reception in less than half an hour? Today we’re starting a new series with DJTT’s own mobile maven, Angel. 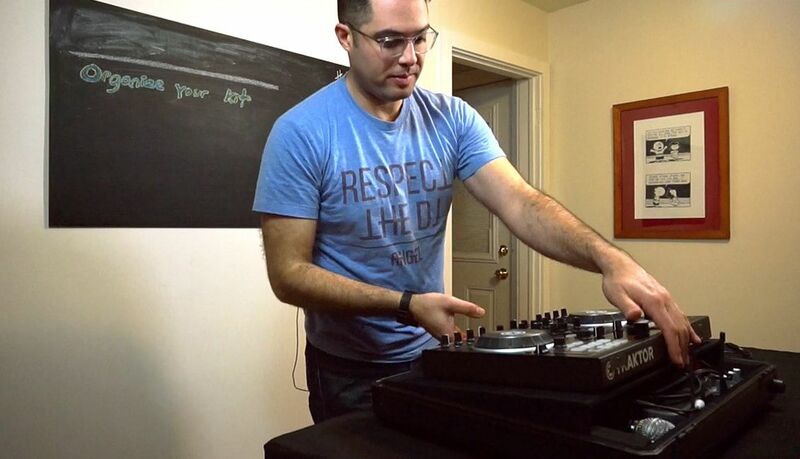 Learn from his years of experience – starting with today’s episode on plug and play DJ kits. DJing is not an industry with hard and fast rules – so mobile DJ tips are generally subjective and up to each individual DJ/mobile company. That said, having pre-built kits is a major time saver and stress reliever. The concept takes cues from sound engineers and stage techs with all their fancy bolted in gear and cases. Not to mention it graduates you from carrying smaller bits of gear like wireless mics, cables, etc.., in an old gym bag or milk crates. Another great option is the Odyssey Black Label flight case with 1U or 2U compartment. It’s also worth sharing that there is no right or wrong kit of controller setup to use, including full turntables or CDJs. My full Turntable kit is an “Upgrade” package clients can book which mostly accounts for the extra setup time, and hassle of having to bring so many pieces of extra gear that isn’t pre-mounted like your go-to mobile kit that you’ve now pieced together. Hey Angel, Where’s Your DJ Facade? One final note I want to add is addressing my lack of a facade. 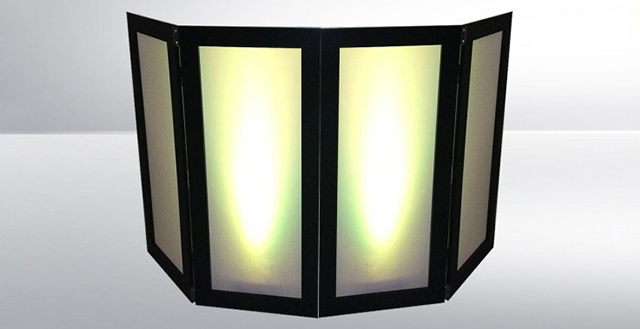 Many DJs have a facade designed to cover their DJ setup and clean up the look of their rig. I travel with my own folding table. I own 2, 1 for my smaller controller setup, and a 6 foot table for when I get booked to use my turntables. However, I do not like facades. I mostly DJ weddings these days and facades scream “look at me” where it’s really all about the bride and groom. They can also be a huge decor blunder if you’re DJing in spaces that aren’t sterile convention halls and completely clash with the design the venue, planner, or rental company worked so hard to design and create. I have tried to find a really cool foldable/portable option but most venues are almost always going to have a fully skirted table waiting on you when you arrive (not always so always travel with your own no matter what) so really just a tablecloth is fine and most clients will not even notice nor care, depending on your market and target client base. If you’re dead set on going the facade route, Dan White wrote an article about facades and DJ booths that will help you get started with some options or ideas. Have a mobile DJing concept you think our Mobile Maven should cover? Let him know in the comments.